—> TO WATCH THE VIDEOS CLICK ON THE ARTICLE TITLE IN RED AND SCROLL DOWN OR CLICK “READ THE REST OF THIS ENTRY” AND SCROLL DOWN! Bad Girls Club Mexico proved that Erika is a bad a$$ that likes to toot and boot (her dance); But, do you also know that she’s a talented 23 years old rapper. Her music actually sounds pretty good. Click below to watch a few of her videos and visit her website. 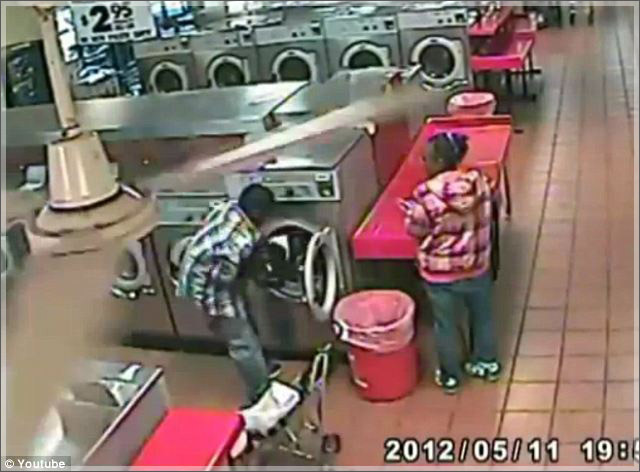 A father is shown panicking after he puts his son in a washing machine and closes the door. The stunt appears to be a joke gone wrong.